Essential to the functioning of our MODs and other kits, the batteries are storage units that provide the necessary energy for the coil of the atomiser to heat and vaporise the e-liquid. In this case, IMR denotes a lithium manganese chemistry (Li-Mn). There is also the lithium ion chemistry designated by the letters IC and the lithium iron phosphate chemistry designated by LIFEPO4. Would you like a storage battery? 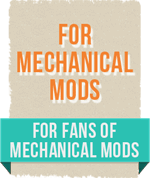 For fans of mechanical mods. 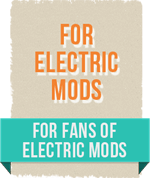 For fans of electronic mods. 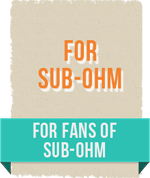 For fans of sub ohm. Example: An 18650 battery has a diameter of 18 mm, a height of 65 mm and a cylindrical form. The capacity "C" is the inner contents of the battery that determine its battery life. It is expressed in amp-hours. Amp-hour (symbol: Ah) is the unit of electric charge. This is the amount of electricity passing through a section of the conductor where a current with an intensity of 1 amp passes in 1 hour. In other words, it's the capacity of a battery in terms of duration: the higher the figure, the longer it will last before needing recharging. Example: 2000 mAh means that the battery is capable of producing a current of 2000 mA for one hour. If it delivers a current of 1000 mA, it will be able to do so for 2 hours. The capacity of the battery varies from 300 to 3400 mA. The notion of MDC is important to take into account as it defines a limit that should never be exceeded. The MDC is the maximum workload that the battery can deliver without risk. It varies depending on the chemistry of the batteries used and their shape. The MDC is expressed in relation to the capacity (C) of the battery (1C, 2C, 5C, ...) or directly in amperes (A). An MDC of 2C means that the battery can deliver a current with an amplitude 2 times superior to its capacity. An MDC of 20 A (i.e., 20,000 mA) for a battery with a capacity of 2,000 mA means that the battery can deliver a current with an amplitude 10 times superior to its capacity. Example: A battery of 700 mAh with an MDC of 2C can deliver a current with a max. amplitude: MDC = 2 x 700 ma = 1400 mAh. However, the battery will discharge twice as fast. The Li-ion chemistry is the most widespread and gives rise to batteries with an MDC of up to 2C on larger sizes (18650). The (average) nominal voltage is 3.7 V.
The effective voltage varies from 4.2 V at full charge to 3.2 V once discharged. This chemistry needs to be managed by a control mechanism (PCB) to avoid a chain reaction with the risk of explosion in the case of extreme use. Batteries with the IC technology have a life-span rnaging from 300 to 500 charge/discharge cycles. The Lithium Manganese chemistry is often used in mods as it gives very high MDCs from 5C to 15C. An advantage of this chemistry is its stability. Less unpredictable than the Li-ion chemistry, it is supplied without a PCB. This chemistry has a slightly shorter life-span than its Li-ion counterpart. This chemistry provides batteries with an MDC of about 2C. The (average) nominal voltage is 3.2V. The effective voltage ranges from 3.6V when fully charged to 2.8V once discharged. Much more stable than Li-ion and IMR, these batteries are supplied without a PCB. The LiFe Poe4 technology provides a far longer battery life than Li-ion and IMR and can withstand more than a thousand cycles. 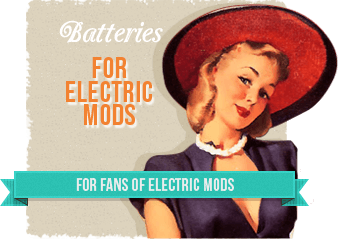 Which battery should you choose for an e-MOD? An e-MOD can generally accept an intensity between 5 and 7 Ampere (A) and is equipped with multiple protections (short circuit, pressurisation...). This is the case for the vast majority of quality batteries on the market. You can thus optimise the battery life by choosing high-capacity batteries. In the absence of a manufacturer specification regarding the maximum continuous discharge current, do not exceed the lower values indicated for the chemistry of the battery. Which battery should you choose for a mechanical MOD? In the case of a mechanical MOD, the choice of the battery should not be taken lightly as there is no protection. In addition, this type of MOD does not render it possible to adjust the power, so it is necessary to install relatively low resistances to obtain a proper performance. Increasing the required intensity and the lack of security, increases the risk of "degassing", or even explosion. It is therefore necessary to choose a battery with a high discharge current (MDC) in order to vape safely. Efest Purple, for example, has proven to be safe, and is available in 20 A / 3100 mAh or 35 A / 2500 mAh. 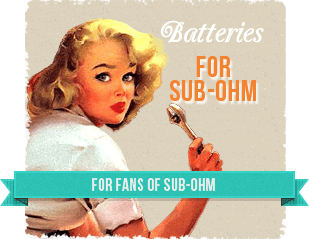 Which battery should you choose for Sub Ohm? Use protected batteries of the type IMR (we recommend Efest Purple which is perfect for Sub Ohm). Never use deformed or damaged batteries. Use batteries of the type 18500 or 18650 rather than 18350. Do not decrease the resistance to a level below that which is permitted by the battery. The 18650 batteries perform better with regard to life-span and security than their 18350 counterparts. You should not go below 0.8 Ohm with small-size batteries (18350). 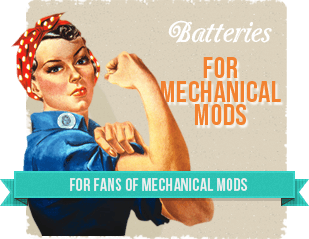 Consider the MDC when choosing your battery (especially for mechanical MODs and when using Sub ohm). MDC: This is the maximum discharge current that the battery can withstand. Depending on the coil that is installed, the battery will be required to provide a certain intensity of electric current to heat it. If this intensity is greater than the maximum discharge capacity of the battery, there is a risk of deterioration or even explosion. Choose IMR batteries. IMR signifies that the battery has a Li-manganese chemistry that is more stable than other chemistries and allows for high discharge currents without the need for protection. Never transport your batteries with other metallic objects or electrical conductors in your pockets or a bag, without protection: the simultaneous contact of the positive and negative terminals of your batteries with a metallic object may provoke an uncontrolled discharge and short circuiting, leading to the emission of toxic gases, or quite simply an explosion... It is best to choose a suitable case for their transport. In the absence of a manufacturer specification regarding the maximum continuous discharge current, don't exceed the lower values indicated for the chemistry of the battery. Try to spot any malfunctioning of accessories connected to your batteries as soon as possible. In particular, the coil that equips your rebuildable atomiser or clearomiser should be checked regularly: a coil that has lost all resistive capacity should not be used with batteries! As a general rule, follow the battery manufacturer's instructions and warnings to the letter. This is the best way to avoid any accidents, and it will also help you to keep your batteries in top condition for longer!